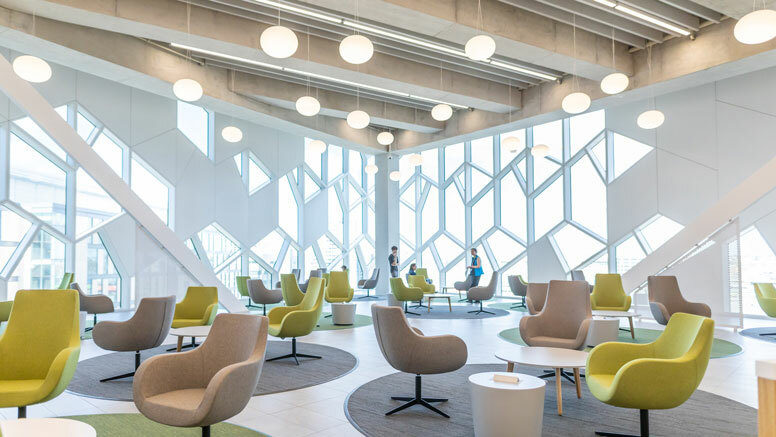 The $245 million, globally recognised space is the latest example of how Canadian libraries are reinventing themselves as integral gathering places for communities. The Library expects to welcome tens of thousands of visitors on its opening weekend and reach two million annual visits by 2020. Along with being home to more than 30 community meeting areas, a Performance Hall, a 75,000-square foot outdoor plaza and greenery, stunning exterior and interior artwork, a 12,000-square foot Children’s Library, dedicated spaces for teens, recording studios, and over 450,000 collection items. The 240,000-square foot building features unparalleled architecture and design features – both beautiful and functional – including a gorgeous western red wood cedar archway, high ceilings with endless windows and intricate staircases. The central skylight – the Oculus – celebrates Calgary’s famously sunny skies and brings natural light into the building. The design team behind the impressive structure was led by Calgary Municipal Land Corporation and included the world-renowned team from Snøhetta and DIALOG. Calgary Public Library, with 670,000+ members and 20 locations, has been inspiring the life stories of Calgarians for more than 100 years. 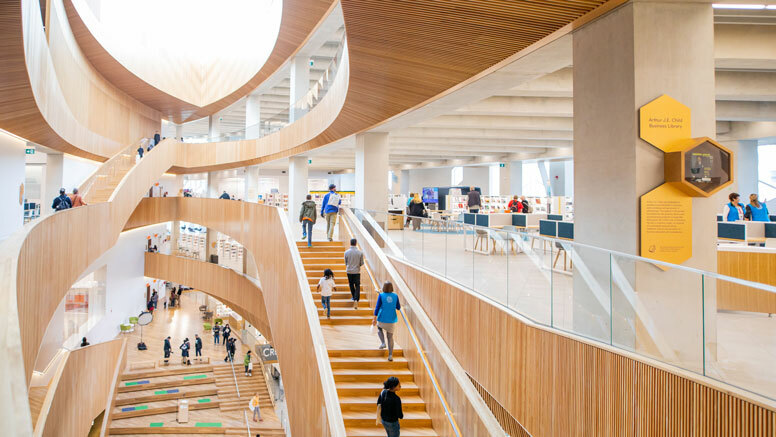 It is currently the second largest library system in Canada and the sixth largest municipal library system in North America, with Calgarians borrowing more than 14.6 million physical and digital items and 6.8 million in-person visits last year. More information about the architecture and design. A guide to the floors and features of the new library. The extraordinary success of the new central library. 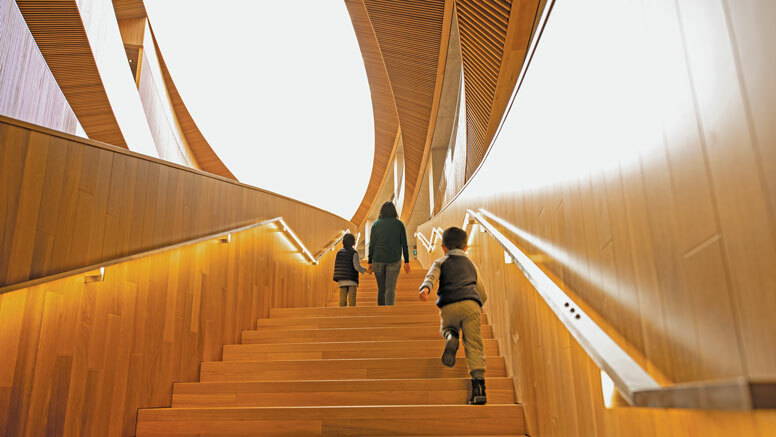 A follow-up opinion piece in praise of the new library by Aaron Betsky in Dezeen magazine.